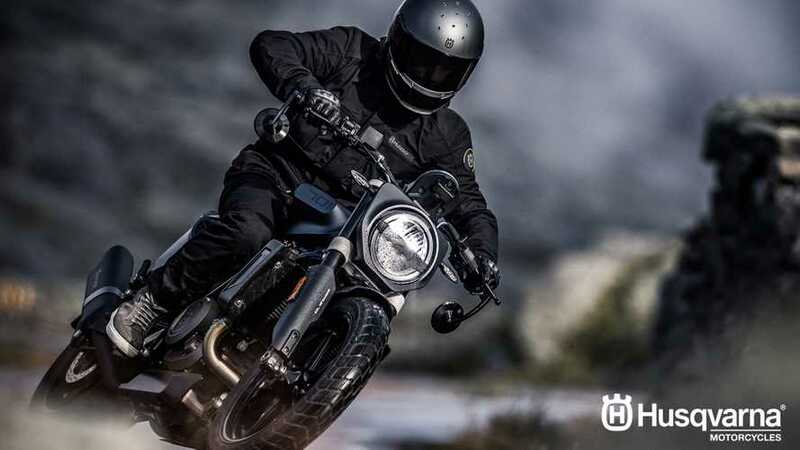 As promised, and after a year of teasing us with concepts, Husqvarna took the wraps off a production-ready version of the Svartpilen 701, a mean looking flat track inspired version of the already awesome Husky 701 at EICMA. The Svartpilen, which means "black arrow," brings a dark side personality to contrast the light-side 701. Husky says its styling was inspired by flat track racing. "Its design captures some of the original spirit that originally made motorcycling great, and that still fuels the imagination of riders today," reads Husqvarna's website. The Svartpilen is supposed to evoke the riding experience of the bikes of old in a thoroughly modern package. While keeping the same trellis frame design and layout as other 701s, the Svartpilen gets a unique LED headlight, fork shrouds, handlebar, and tail to add to the flat tracker look. It also gains a quick shifter and APTC (Adler Power Torque Clutch) slipper clutch for fast and smooth gear changes. Pirelli MT 60 RS tires add to the flat tracker look but are optimized for street performance, which is where the Svartpilen will spend its time, unlike other Huskies made to play in the dirt. But the biggest change, by far, is the "any color you want, as long as it's black" look. This bike looks lean and mean, like something Darth Vader himself would ride. 'A new exhaust is probably responsible for the Svartpilen's 75 horsepower, one up from the 701 Supermoto. Aside from that, the engine, brakes, and suspension appear to be the same highly effective units already in use on other versions of the 701. Why fix what ain't broke? Husqvarna has not yet announced pricing, but we can expect to see in dealers early next year.